Salads are of many types.They are prepared with vegetables, fruits, legumes, grains, greens etc. 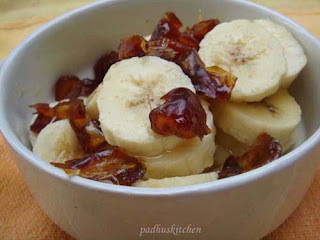 They are filling and can be used as a side dish or main dish. 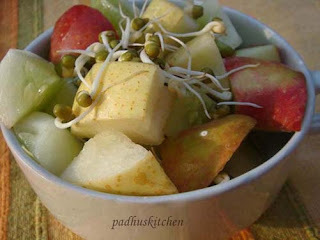 Combination of sprouts with raw vegetables and fruits increases their nutritional value. 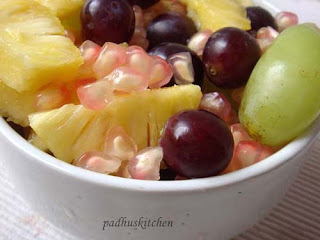 Have a bowl of salad and pave way to better health. Refer here for How to sprout moong dal? 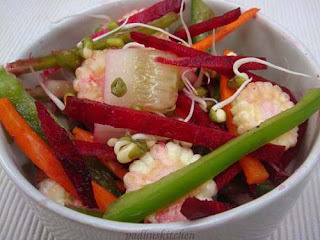 Just lovedddddd the salad, so colourfull,easy to make and ummm healthy!!!! !